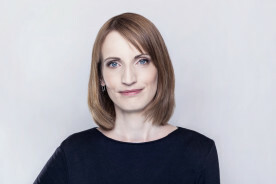 Iga Magda is vice president of our Institute, assistant professor at the Warsaw School of Economics and IZA Research Fellow. Her research is focused on the labour market, education, health and social policy, including family policies. She has authored and co-authored numerous publications in these fields. She previously worked at the Ministry of Labour and Social Policy, coordinating research projects and participating in EU/ OECD working parties on employment and social affairs.